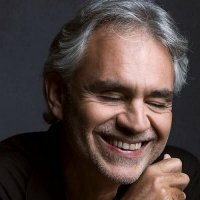 The much coveted special guest slots for Italian opera star Andrea Bocelli's forthcoming arena tour of UK and Ireland have now been confirmed. Multi-platinum-selling Rebecca Ferguson will appear as the special guest at the London O2 Arena on Wednesday November 14th and Thursday November 15th. Having sold over 500,000 copies of her debut album Heaven, the Liverpool-born singer songwriter has carved out a reputation - both in the UK and in America, where her album entered the Billboard chart at No 23 - as one of the most compelling vocalists on the scene. "I am honoured to be singing with such a legend in music and thankful that I have been asked to join him on stage" commented Ferguson. Also lined up are Div4s, a hotly-tipped ensemble of four Italian sopranos who will be perform on the Birmingham, Liverpool and Irish legs of the tour, and the incredible crossover guitar duo CARisMA, whom Mo Bocelli has been closely working with since they astonished him with a performance of the Overture from The Barber of Seville in early 2011, will be performing on all UK dates. The tour will also feature Bulgarian soprano Svelta Vassileva, a highly acclaimed performer who has appeared on many of the world's leading operatic stages, and the world renowned conductor Marcello Rota, undoubtedly one of the most exciting conductors of his generation.